The ripple of this veneer is a show-stopper. In fact, we think this veneer will stop anyone in their tracks given the detailed waves. In addition, this hardwood veneer is very stable. The stability makes it similar to working with Mahogany. 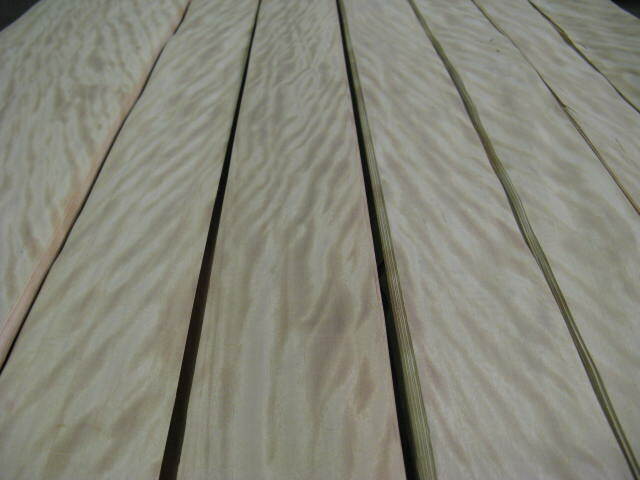 The sensational figure and light-toned wood makes it ideal for cabinetry, furniture, and other woodworking needs. Color: White to creamy gold. Pattern: Largely figured with a mottle; crotches and swirls. 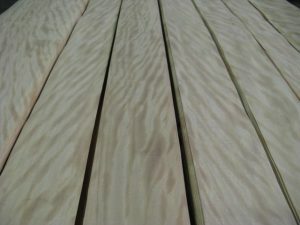 Characteristics: Medium texture; firm clean grain; usually wavy or irregularly interlocked; lustrous; moderately hard. Uses: Fixtures; furniture; and architectural panels.